2018 Land Rover Range Rover Supercharged, price AED 629,000, blue SUV/Crossover, red on the inside with power locks and front camera. 22″ wheels. 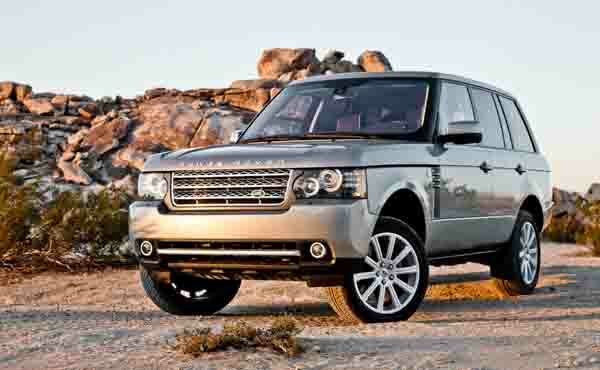 2014 Land Rover Range Rover HSE with Tuner/radio, 21″ wheels and MP3 interface. Price reduced! 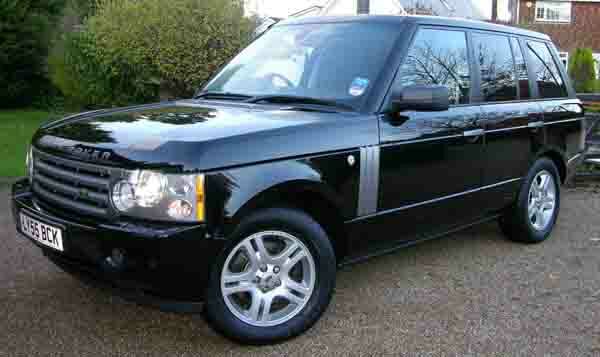 GCC spec Land Rover Range Rover Vogue Autobiography, black SUV/Crossover with brown interior. It features parking sensor front, 22 inch wheels and hill descent control. Imported spec Land Rover Range Rover HSE with Fog lights, 22″ wheels and Multiple off road option selector. Price reduced! Automatic Land Rover Range Rover Vogue HSE with 21 inch wheels, power seats with memory, parking sensor rear, white on the outside, beige interior. Opportunity! A 2012 black Land Rover Range Rover Vogue Supercharged FULL SERVICE HISTORY now available at a reduced price. 2015 Land Rover Range Rover Vogue SE Supercharged, priced at AED 225,000, with features such as MP3 interface, spoiler, premium sound system. It has beige interior and is White. GCC spec. GCC spec 2018 Land Rover featuring bluetooth system, parking assist, heated seats. White with burgundy interior. GCC spec Land Rover Range Rover Vogue HSE, black SUV/Crossover with beige interior. It features 4WD, 18 inch wheels and leather seats. This is a white SUV/Crossover with brown inside and CD player, bluetooth system and 20″ wheels. GCC spec Land Rover Range Rover Autobiography, white SUV/Crossover with tan interior. It features warranty until january 2021, 22 inch wheels and airbags (front and side). Price: AED 339,000. Land Rover Range Rover Autobiography WITH MAIN DEALER WARRANTY AND SERVICE CONTRACT! 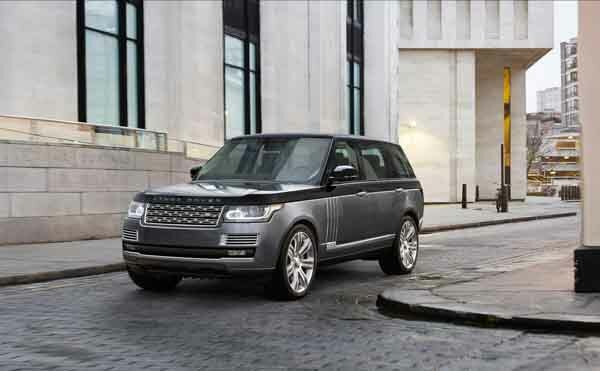 GCC spec Land Rover Range Rover Autobiography with Airbags (front and side), 22″ wheels and Rear camera. Price reduced! Opportunity! A 2018 white Land Rover Range Rover Vogue SE Supercharged BLACK EDITION WITH WARRANTY AND SERVICE now available at a reduced price. 8 cylinder white 2016 SUV/Crossover. Beige interior. ABS, 22 inch wheels and power locks. GCC spec grey/silver SUV/Crossover, beige interior with LED headlights, bluetooth system and a 8 cylinder engine. GCC spec, white 8 cylinder SUV/Crossover with red interior. It has CD player and ABS. GCC spec Land Rover Range Rover Autobiography, black SUV/Crossover with red interior. It features DVD-player, 17 inch wheels and MP3 interface. White 2010 8 cylinder SUV/Crossover. Price AED 45,000. Beige interior. It has power windows and air conditioning. GCC spec Land Rover Range Rover Vogue Autobiography, white SUV/Crossover with tan interior. It features alarm, 22 inch wheels and air conditioning. Automatic Land Rover Range Rover Autobiography with 22 inch wheels, 4WD, ride height control, white on the outside, burgundy interior. Land Rover Range Rover HSE white SUV/Crossover, beige on the inside with ride height control and MP3 interface. 21″ wheels. Omar - My pre-owned Land Rover Range Rover Autobiography sits level-pegged with a limousine. With its four-seat setup, it’s got the best options around and for the price I paid for it, it’s worth it. I’m waiting for the SVAutobiography to come out so I can buy that too. Pros: Options to rival a luxury sedan, powerful V8 motor and impressive build quality. Cons: Constantly has to be filled up. Mahmoud - Nothing can compare to a used Range Rover Vogue SE Supercharged, maybe it doesn’t have a four seat up or rear TV screens, but it’s got all the options anyone needs to be comfortable. 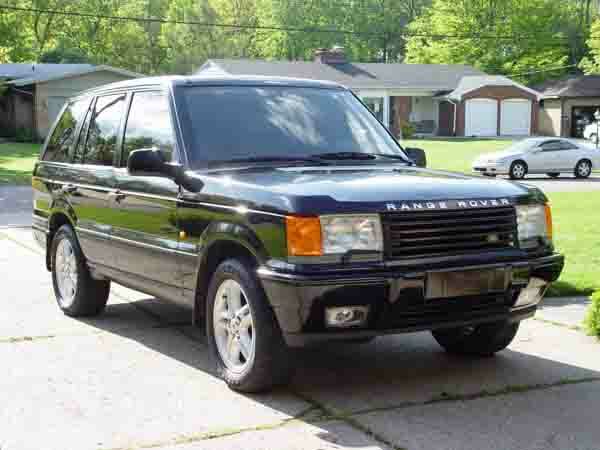 Andrew - I’ve had my second-hand Range Rover for some time now, got it at a good price and only had minor issues with the fuses, but it’s nothing major so far. Otherwise, it’s a great car with lots of options, and it’s comfortable. Excellent car for Dubai residents. Pros: Comfortable and all those options. Cons: Fuses keep blowing out. Being popular cars in the UAE, they have fantastic resale value. Around they are known for their safety. Yes they are large cars and parking may be a bit of a pain, but safety is priority number one for everyone. They make a statement as they are owned by celebrities, professional athletes and various other not worthy people. With two engines available there's something for everyone to choose from. The list of options goes through the roof and beyond that, you name it, a Range Rover probably has it. 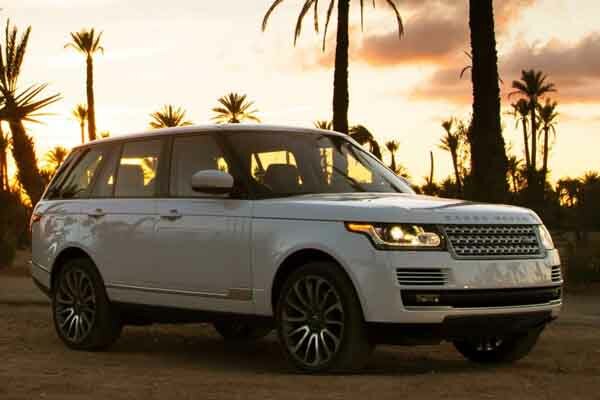 Ever since the 70’s, Land Rover Range Rovers have traversed some of the toughest terrains around, whether it’s a wadi, the desert or the urban jungle, the Range Rover has been there and asserted itself as a worthy SUV. Usually with a four-door set up, earlier models also had a two door option as well. In their latest form, they have made quite the impact and are a staple in every garage as they have an impressive list of owners. With a boxy shape and four wheels, the unknown terrain was still a prime target for the Range Rover. Basic options include fabric seats, radio tuner, basic power accessories and air conditioner. Over the years, additional options joined the ranks such as a sunroof, rear spoiler, leather seats power seats, cruise control and various rim sizes. Two V8 engines are available with either a 4.0-litre or 4.6-litre displacement hooked up to a 4-speed or 5-speed manual transmission. Power is sent to all four wheels. An inline six-cylinder diesel is available. However, these vehicles are import from export markets as they were never intended for use in the GCC. Prices start at AED 11,500. Now moulded into a more refined box with curvier bits all around, standard features inside include leather seats, power seats, DVD navigation, premium sound system, cruise control and climate control. Additional options consist of memory seats, navigation, 20-inch alloy rims, sunroof and rear entertainment package. Standard safety features; front and side airbags, ABS, stability control, tyre pressure monitor and emergency brake assist. Optional safety features include larger brakes, dynamic stability control, an upgraded off-road selector and uprated suspension. The previous two engines were dropped in favour for a 4.4-litre and a 4.2-litre supercharged, both are V8’s and are mated to a six-speed automatic gearbox. The manual transmission is also unavailable. In 2010, new engine replaced the 4-litre ones. Now with a displacement of 5.0-litre, the V8 engine is maintained as is the supercharger in top trim spec. No changes were made to the interior or exterior options. 2011 models have new gear shifters and a new grille and headlights are attached to the front end. Prices start at AED 25,000. Now entering its fourth generation, the entire exterior is reshaped but retains many unique attributes stay including the clamshell bonnet. Even with a new look exterior options such as parking sensors, 20-inch alloys, xenon headlights and reverse camera. Higher trims and other options include a 360-degree camera, soft closing doors, 21 or 22-inch rims, rear spoiler, LED and daytime running lights. Interior options return for another few years; leather seats, cruise control, sunroof, fridge, navigation, Bluetooth, media inputs and digital dashboard. The extra list expands to a panoramic sunroof, rear entertainment package, cooled seats, rear cool box, front and rear memory seats and a four-seat setup. Over the years, the Autobiography trim received an extended wheelbase option. Equipped with all the top end choices, a 2+2 seating arrangement, more legroom in the rear and rear foldaway tables create the perfect SUV to be chauffeured around in. With Range Rover Sport models receiving treatment from the SVR division, in 2016, they turned their attention to the Autobiography model. Dubbed the SVAutobiograhy, not only did it have all the options as the LWB Autobiography, but also has bespoke interior finishes exclusive to the model as well as two-tone paint scheme, alloy rims and the option for event seating in the rear. Both engines remain with similar outputs; the only change is an 8-speed automatic gearbox which takes over from the 6-speed. Six trim levels are available with various price tags; HSE LE, HSE SE, Vogue LE, Vogue SE and Autobiography.